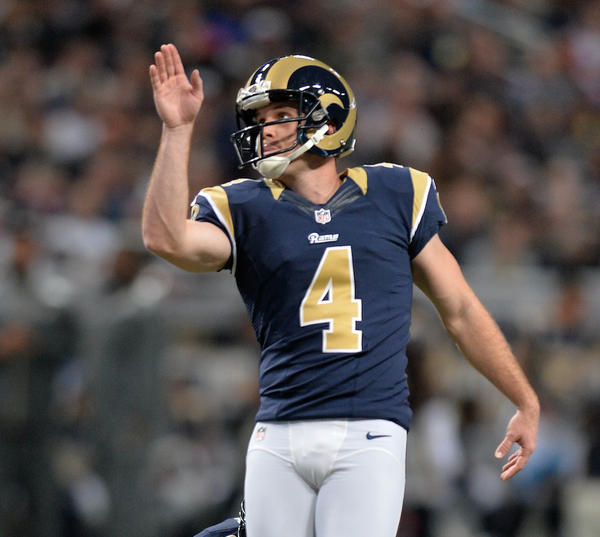 #Rams are on pace for 4,519 penalties. A lot of single-high safety from #Vikings , and Nick Foles has been able to complete gains of 23 and 55. We see you @KennyBritt_18 ! ???? 23-yard catch! First down #Rams ! I realize Wright was mauled on that last play and yet he was in a position to catch it if Teddy had compensated for the slowed route. Will Teddy eventually find his touch on those longer routes? 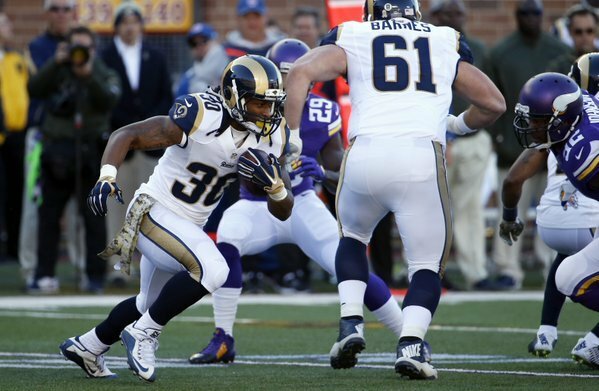 Lots of overthrows.
.@chadgreenway52 makes his presence felt in the Rams backfield and forces a 4-yard loss. A 61-yard STL FG now has the #Vikings lead at 10-9. That 61-yard FG is the longest ever against the #Vikings . The previous long was a 58-yard FG by Mason Crosby on 10/23/11 at the Metrodome. Young G-Z good from 61, outdoors, in windy Minnesota. Heater blasting on Rams sideline. Bud Grant is repulsed. #Vikings are 0 for last 6 when targeting Mike Wallace after that Bridgewater miss on third down.
.@TWaynes_15 with a big special teams tackle on the #Vikings punt to force a negative return. Teddy has to stop missing wide open receivers! Loud cheers at TCF Bank Stadium as the scoreboard displays a Panthers touchdown and shows Carolina leading the Packers, 17-7. 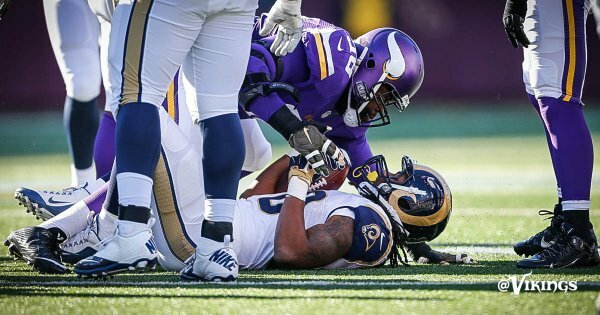 #Vikings ' DL coach said it'd be a "crime" if Linval Joseph didn't make the Pro Bowl this season. He's been all over the field again today. 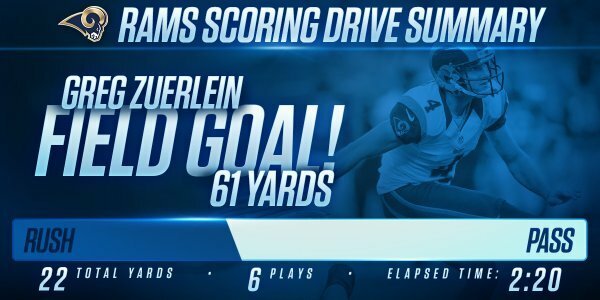 Rams Greg Zuerlein just made a 61-yard FG. Nick Foles with the QB sneak on 4th and short. Teddy has to get ready to come up with a response to this drive. hey, site moderators, how about you all get this "Chuck" ******* off the board. 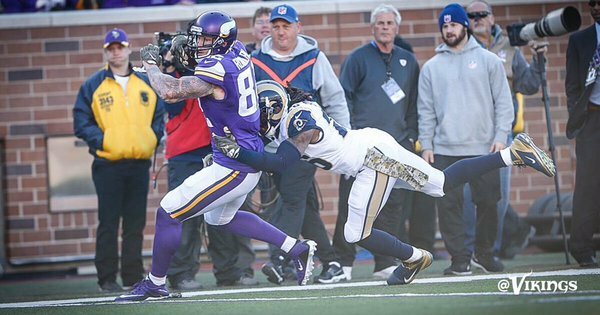 #Vikings trail #Rams 12-10 with 3:23 left in the 1st half. 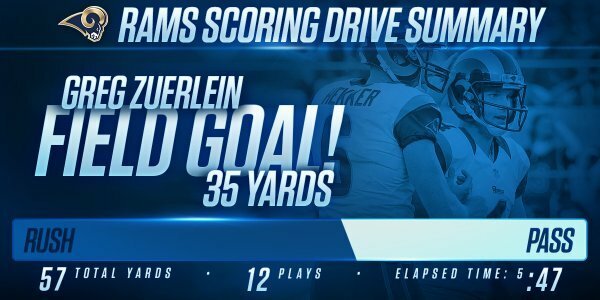 #Rams take 12-10 lead off Zuerlein's second field goal. Brandon Fusco set to come back in for #Vikings offense, 3:23 before half. how did we "blow" that lead?